You're invited to The Doctors' Orchestra's 10th gala concert in aid of Freedom from Torture. Taking place on 11 March at London's prestigious Cadogan Hall (Sloane Square), conductor Stephen Brearley will once again bring together an ensemble of 75 musically gifted doctors to play in aid of UK charity Freedom from Torture. Following a sell-out concert last year, and to mark its tenth concert in support of Freedom from Torture, this year The Doctors’ Orchestra welcomes two incredible young musicians. 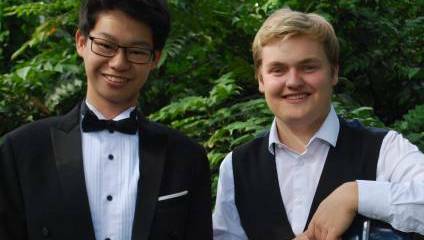 Tianyou Ma, a prizewinner of the 2018 Menuhin Competition in Geneva, and Maxim Calver, a finalist in the 2018 BBC Young Musician Competition, will join forces in Brahms’s magisterial Double Concerto for violin and cello. The concert will also include Berlioz’s rarely played but compelling King Lear Overture and Elgar’s magnificent First Symphony. Tickets are from just £15 and can be booked online by calling the box office on 020 7730 4500. All funds raised will provide vital care and support for those who have experienced the devastating effect of torture and are seeking to rebuild their lives in the UK.